For many individuals, taking care of your body means taking a trip to the pharmacy. 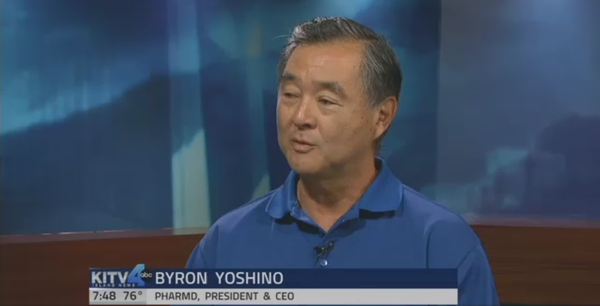 Our Presidents & CEO, Byron Yoshino, was featured on KITV's Aging Well segment where he shared his recommendations on questions and requests individuals may inquire about when visiting their pharmacist. View the clip from the segment here. Take a quick survey because your opinion matters and helps us to continue to provide "care done right."